If your pets ingest any of these foods this Thanksgiving, be sure to call your veterinarian immediately. The most important part of holiday pet safety is early action, which may prevent more costly and serious complications from developing. Have a happy and safe Thanksgiving! 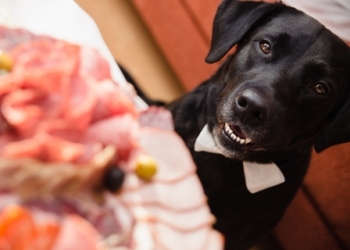 For a list of other harmful foods for dogs, check out 20 Foods Dogs Should Never Eat. By Dr. Eva Evans, a veterinarian and writer for pet health insurance agency, Pets Best. Since 2005, Pets Best has been offering pet health insurance plans to dogs and cats across the U.S.